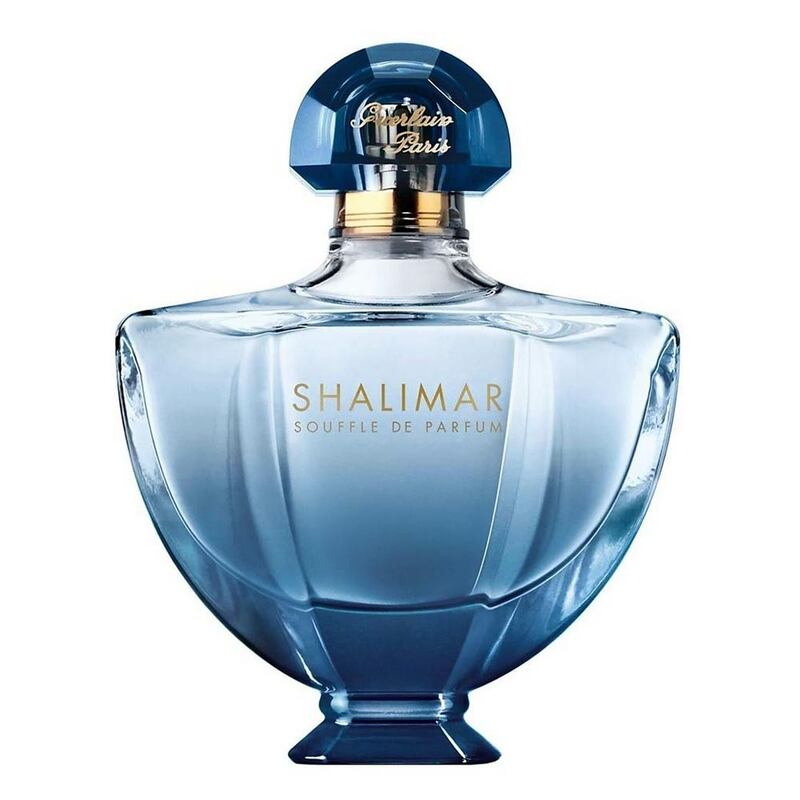 There are 11 reviews of Shalimar Souffle de Parfum. A different version from the original I can't quite wrap my head around. Syrupy citrus on top. Smooth. Then, buzzy sparkling jasmine. Orange blossom is too light. I expected more here. Gentle base - not too sweet. Just enough vanilla I suppose. I enjoy the original, my bottle, more. I would say this is a "lighter" more work-friendly version. I really love this fragrance and I wish it was not compared so much to Shalimar because yes, it should be like the original and I agree with that. But I also think this is a good perfume and to dislike it because it’s not close enough to Shalimar. I find a little unfair. I wish it was bottled under a different name. I think it would get a lot more love if it was. Because it is an excellent fragrance in my opinion. On me I think it smells so good so lovely. I love the opening it citrus but it’s not clean citrus more like juicy citrus. I think if the bergamot was stronger it would be more Shalimar like. As the citrus which I love in this dissipates the Jasmine and orange blossom come out and I find it so pretty! So light and sparkly! It’s a delicate Jasmine but beautiful none the less. The orange blossom is lovely in this as well. Finally the dry down I love so much! The white musk is so pretty it’s not laundry like at all to me. I feel it’s a sweet light musk that goes so well with the vanillas. It almost makes it dessert like. When I smell it, it’s just so heavenly. The musk with the 2 vanillas does give it a kinda gourmand feel but I like it. I will repurchase this I do wish it was a touch stronger but this lasts on my skin overnight. Sillage on me is moderate. I would love to get my hands on the soufflé intense version as that sounds lovely as well. Also I love the blue bottle! I think it is so pretty and looks really good with my Shalimar bottles. So that’s a nice little plus. Presumably, by Souffle, Guerlain were passing a wry comment on the airbrushing they gave to auntie Shalimar's bumps and wrinkles in order to come up with just another bland sweet oriental. Its actually not bad, but me I prefer character and body to skin deep perfection. Souffle de parfum intense is nearly the same, but is, well, more intense and softer, with more vanilla, and better sillage and longevity. The opening notes are a mix of bergamot, citrus -mandarin and lemon - and a background of jasmine, with the latter persisting well into the heart notes. Not particularly original but well executed. In the drydown the theme of the orangey citrus and the jasmine is spun out further, but is loses a bit in colour and vividness. Similarly, the base with its middle-of-the-road vanilla and rather forgettable white musk, combined with the synthetic attempt of a pseudo-caramel-like sweetness with a whiff of dried wood in the heat is nothing to write home about. I get moderate sillage and very good projection, but with thirteen hours it is the longevity that is truly impressive. I'm still on the fence with this one. First - just scratch the Shalimar bottle and the name from your mind, just scrub it clean, sweep it under the carpet, windex it, whatever imaginary way works for you. This is so far removed from the original Shalimar scent, the only thing remaining to my nose is the vanilla during the dry-down. The strange quirk with this particular perfume is after five minutes of spraying, I couldn't smell a thing. Everyone around me could definitely smell this, but I just couldn't. I was perplexed that I couldn't experience the scent myself while wearing it. I sprayed it on a tester paper at home to figure out why I wasn't smelling it on me. I realized quickly what it smells like - lemon meringue with a touch of light white flowers. It is a very very light citrus scent that drys down to a light vanilla base. It's almost aqueous the citrus smell as it's not 'in your face' but 'just so' almost like orange blossom water one uses in cooking. Considering the 'Souffle' in the name should be translated as 'breath' and not a fluffy dessert. I wonder if the lightness of the scents involved contributed to my inability to smell this perfume on myself coupled with the winter layers I've been wearing this season. I'll have to save this one for a day when the temperatures get above 60F/15C to really try this out and give it a go. Until then, my review is neutral. I like it, but not love it at this time. Overall - I would consider this particular Shalimar great for someone new to perfumes who wants a very light office-friendly scent - I would be shocked if anyone found this perfume offensive in an office setting. With citrus, white flowers and vanilla, it's a nice, clean and safe perfume. I would heartily recommend this one as a safe gift or a perfume to give someone as a great light introduction to perfume scent. I would choose this over Estee Lauder's Pleasures any day. There are no member images of Shalimar Souffle de Parfum yet. Why not be the first? 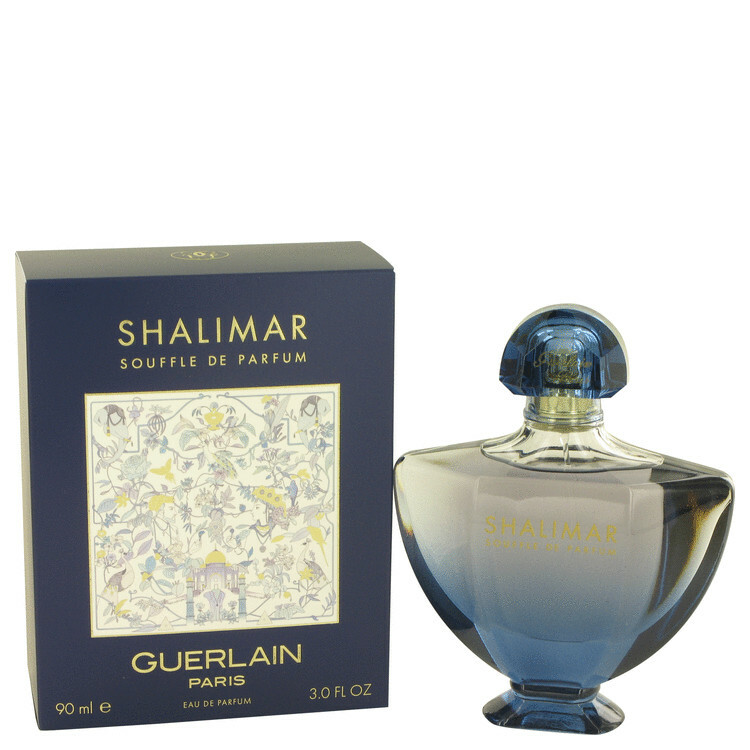 NEW: Guerlain - Shalimar Souffle de Parfum For Women!